"Global Breakfast Cereals Market ", offers comprehensive analysis into Breakfast Cereals Industry-the key players, size-share, development trends, challenges and consumer behavior’s. It provides insight into the growth of value players, as well as looking at new entrants to the market and their growth prospects. According to Azoth Analytics research report “Global Breakfast Cereals Market (Volume, Value) – Analysis By Type (RTE, Hot), Sales Channel (Online, Offline), Ingredient (Rice, Wheat, Corn, Others), Market Share, By Region, By Country (2018 Edition): Forecast to 2023” the global breakfast cereals market is projected to display a robust growth represented by a CAGR of 3.01% during 2018 – 2023. 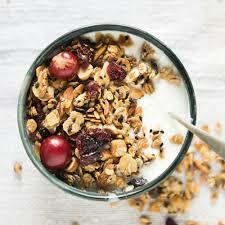 Increasing number of convenience stores, emergent growth of the breakfast cereals in Asia-Pacific region, rising brand visibility across various countries, increasing influence of the western food culture coupled with increasing working population are the key factors backing the breakfast cereals market. Additionally, increasing prevalence of the private label products, changing lifestyle and increasing urban population are some of the macro economic factors which impelled the growth of the market. A comprehensive research report created through extensive primary research (inputs from industry experts, companies, stakeholders) and secondary research, the report aims to present the analysis of Global Breakfast Cereals Market By Volume, By Value, By Type (RTE, Hot), By Sales Channel (Online, Offline), By Ingredient (Rice, Wheat, Corn, Others), By region and by Country. The regions assessed in the report include North America, Europe, APAC and the countries include U.S., Canada, Germany, United Kingdom, Spain India, Japan and China. The report provides a competitive landscape with market share of leading players in each country analyzed. The report titled “Global Breakfast Cereals Market (Volume, Value) – Analysis By Type (RTE, Hot), Sales Channel (Online, Offline), Ingredient (Rice, Wheat, Corn, Others), Market Share, By Region, By Country (2018 Edition): Forecast to 2023” has covered and analysed the potential of Global Breakfast Cereals Market and provides statistics and information on market size, shares and growth factors. The report intends to provide cutting-edge market intelligence and help decision makers take sound investment evaluation. Besides, the report also identifies and analyses the emerging trends along with major drivers, challenges and opportunities in the global breakfast cereals market. Additionally, the report also highlights market entry dynamics for various companies across the globe.